Street Tacos meet the Big Green Salad in this Carnitas Salad Bowl that I can’t get enough of lately. 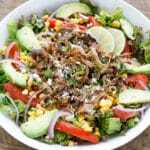 Crunchy lettuces are layered with juicy carnitas, tomatoes, avocado, onions, corn, beans, and cheese then topped with a squeeze of lime. While I’m a huge fan of homemade salad dressings, this salad is so flavorful I just squeeze a lime over the top and finish with a sprinkling of salt and pepper. 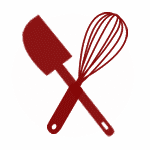 However, if you’re partial to salad dressing, there are 30 different salad dressings in the recipe index here. I’d recommend Bacon Chipotle Ranch Dressing, Honey Lime Jalapeno Vinaigrette, Peppery Dill Ranch Dressing, or Pepperoncini Vinaigrette. This salad is rocking my lunches lately and I am excited to be sharing it with you today. The beauty of this salad is in its versatility. 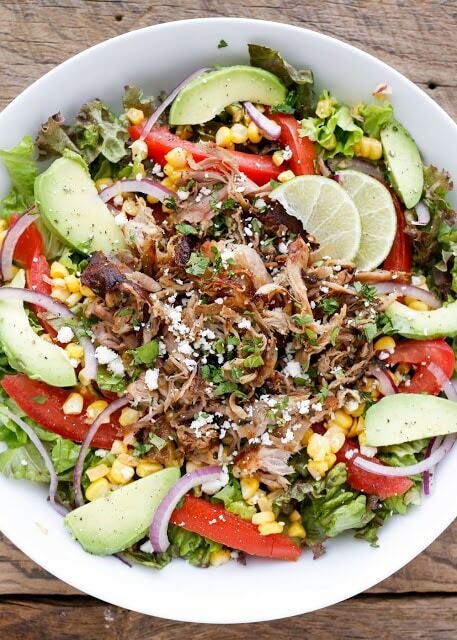 If you don’t happen to have Pulled Pork Carnitas in the refrigerator already, this salad works well with almost any meat. I’ve made versions of this salad with crumbled taco beef, leftover grilled chipotle chicken, and carne asada steak as well. 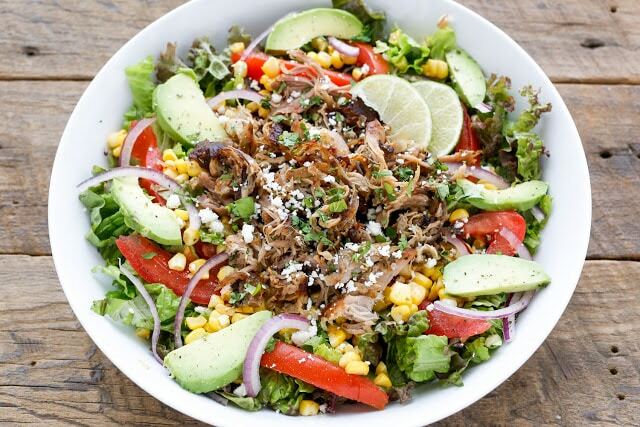 Combine the lettuce, tomato, avocado, onion, corn, beans, and carnitas in a medium-size mixing bowl. Toss to combine and sprinkle with cheese, salt, pepper, and a squeeze of lime. Top with a handful of chips, if desired. Serve immediately. Enjoy! I like a mix of crunchy red leaf, green leaf, and butter lettuces for this salad. Choose whichever lettuces you like best. The recipe below is written for a single large serving. Simply multiply as needed for however many servings are needed. Mary this is genius! I love pulled pork but sometimes I'm at a loss for how to use it all up --- I can't wait to make this.